Ms. Jamie Melish named "Angel Educator"
CONGRATULATIONS to Ms. Jamie Melish, our Junior High Religion teacher, who was named a 2019 Mt. Notre Dame Angel Educator. Ms. Melish was nominated for this recognition by STM graduate Sydney Sweetman. 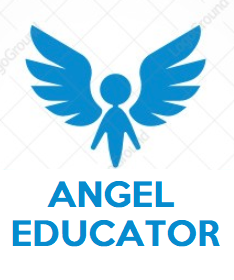 Angel Educators are teachers, youth ministers, or pastors from schools and parishes other than Mt. 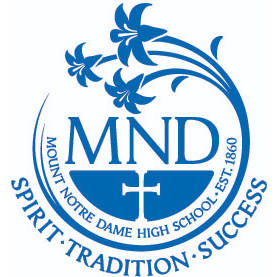 Notre Dame who made a lasting impact on students in their educational journey before they attended MND. Angel Educators inspire students to learn and grow intellectually, personally, and/or spiritually. A special Mass and reception will be held at Mt. Notre Dame on Tuesday, April 30, to honor Ms. Melish and other area Angel Educators. We are very proud that Ms. Melish was chosen for this honor, and we thank her for her dedication to our students!